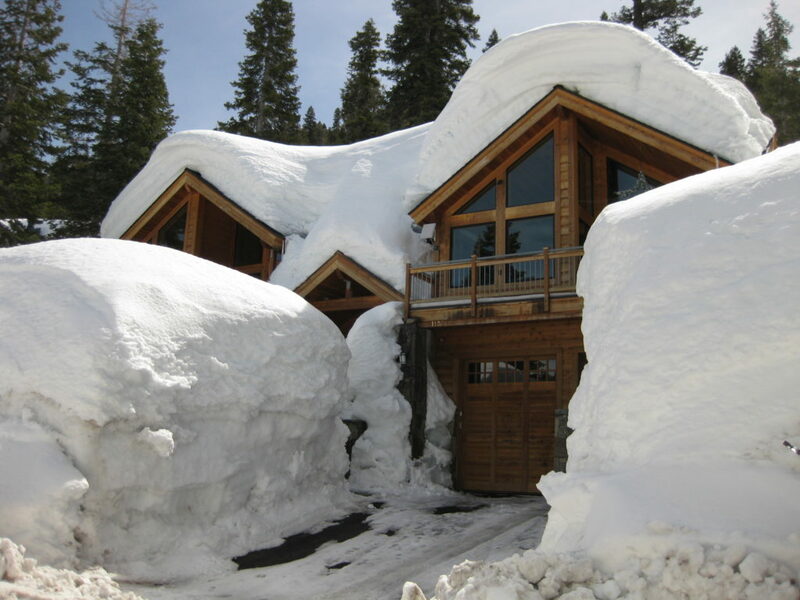 Alpine SnowGuards are designed to help keep snow and ice from avalanching off the roof all at once causing damage to structures, landscaping, vehicles, and most importantly, people below. When more snow than expected accumulates on the roof, it should be removed, only if it can be done so safely and without risk of injury. Avoiding damage to the roof, the building structure and anything below is critical. It’s extremely important to be aware of the health hazards of moving such heavy snow. Over exertion during snow removal can cause a range of health problems, including back injuries and heart attacks, so those who aren’t able to safely clear their roofs should call a contractor who has experience in roof snow removal. We’ve seen some intense snow activity so far this winter, as many of us can attest to. And with that, we’re hearing lots of news stories about the importance of removing the snow from your roof, in order to prevent a roof collapse. If you and/or the business owner are proactive and focused in your approach, a roof collapse is entirely preventable. People often think (with good reason) that if they start clearing snow from the peak of the roof first, it’s safer, as there will always be snow below to land on. However, this transfers the same amount of snow load onto the middle of the roof, as it’s shoveled and piled on lower roof areas. This additional load on the roof structure could cause a roof collapse. The founder & President of Alpine SnowGuards, Brian Stearns, was in my office yesterday and he shared his method of removing roof snow. You may already know that prior to founding Alpine SnowGuards, Brian was a roofer (he even consulted on high profile projects in Japan!). The wealth of knowledge Brian imparts is astounding – his 40+ years of experience have made him an authoritative voice in the industry. 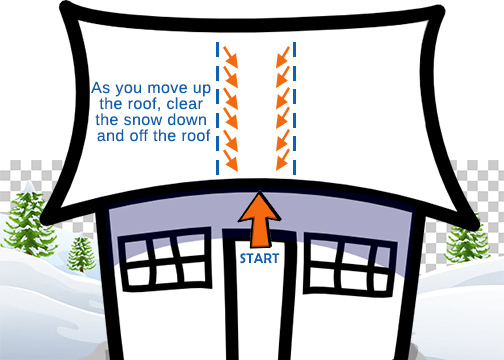 Starting at the middle point of the eave edge of the roof, move up the roof, clearing the snow down and off the roof as you work towards the peak. By clearing the snow in this way, you are ensuring a balanced approach. It’s that simple. We want to stress that if a building appears to be in distress, or if you’re in doubt at all about removing the snow from the roof, check with a structural engineer, who will advise the best way to move forward. Again, please consider the projects where you have installed snow guards. If those projects have an accumulated snow or ice mass it should be removed prior to any further accumulation. We wish you all a snowy remainder of winter, a great start to February, and a wonderful week. Sign up to start using our Online Project Calculator for FREE recommended layouts, BOM’s, pricing, system comparisons, and much more. We even have a tutorial that walks you through the calculator!